Goodbye winter, and hello spring. Take a look at the first visible sign that spring has arrived. Jan de Rijk Logistics road train with newly painted spring livery. In cooperation with Air France KLM Cargo we presented the vehicle at the opening of the Keukenhof 2019 season. 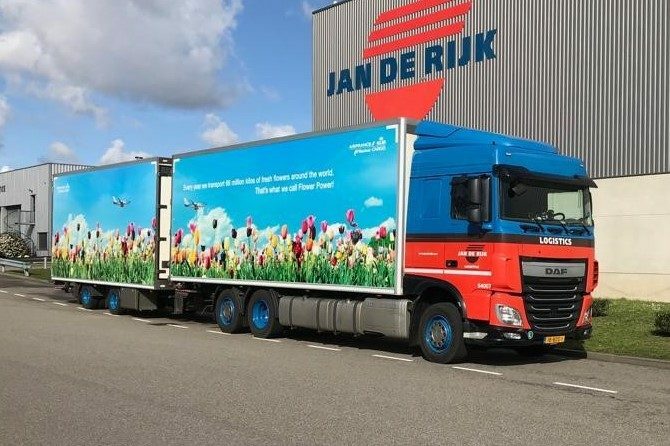 The vehicle is part of the Jan de Rijk Fresh Logistics department, that delivers millions of flowers and plants throughout Europe every year. Curious where can we deliver your flowers and plants?